The lubricant industry which faced a setback for nearly five years has recovered and is making a vital contribution to the economy. The value of the lubricant industry is around Rs. 16 billion. 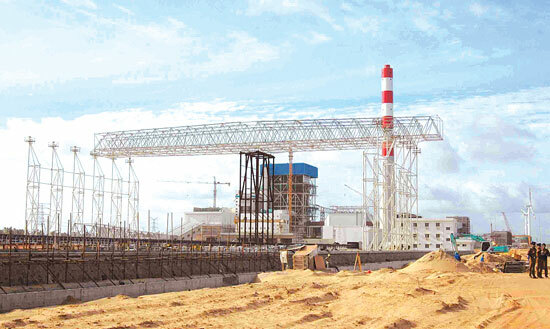 The Phase I of the Norochcholai coal power plant with a 300 MW generate capacity will be commissioned on February 10 by President Mahinda Rajapaksa, the Ministry of Power and Energy said. The 5th Deyata Kirula exhibition will be held at Buttala in the Moneragala District from February 4 to 10 to coincide with the Independence Day Celebrations. This is the first Deyata Kirula to be held in this neglected remote district with the objective of delivering the fruits of development to the rural masses. The organising committee of the exhibition said that the government has implemented a massive development program in the Moneragala District in connection with the Deyata Kirula program under the theme “let’s create a new Wellassa”.